Sylvester Stallone, Jason Statham, Jet Li, Dolph Lundgren, Randy Couture, Terry Crews, Steve Austin, Mickey Rourke. Hype is responsible for most major movie disappointments because it breeds expectation, and expectations are almost never met. When Sylvester Stallone assembled his army of beefy movie stars to populate in his latest, The Expendables, a shoot-em-up that pays homage to the heyday of 1980s action movies, hype took over. Stallone promised the first and only gathering of the biggest actioner names of yesterday and today, and largely due to Stallone’s desire to keep his key demographic in the younger male crowd, expectation swelled in anticipation for the cast alone. Nevermind the plot, the stars are what sold the movie. Names appear in the trailer: Stallone. Schwarzenegger. Willis. Those Planet Hollywood stars who ruled the action movie market in the ‘80s and ‘90s and have since become, at least in the former two cases, benchmarks of action movie nostalgia, whereas the latter still has some fight left in him. More names: Statham. Li. Lundgren. Lesser entries in the gathering cadre, but notable nonetheless for fans of the genre. Then even more names: Austin. Couture. Crews. Who? Devotees to wrestling and MMA fighting may know, but casual moviegoers are left baffled, which is why Stallone and the producers at Lionsgate advertised Schwarzenegger and Willis more prominently, even though their screentime amounts to a total of five minutes and neither are mentioned in the opening credits. They’re all playing badasses in what was supposed to be the most star-studded display of badass badassery. So, with this cast and Stallone’s promise of no-holds-barred action movie joy, his flick has to be good, right? Right? 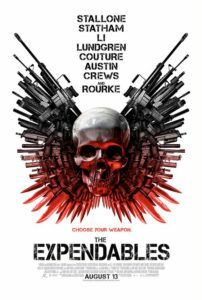 Alas, The Expendables is another victim of hype. Stallone co-writes (along with Horsemen scribe Dave Callaham) and directs a machismo yarn that may pay homage to those action movies of yesteryear in terms of casting, but it also doesn’t deviate from the hackneyed formula of those sadly dated titles like Cobra and Commando. 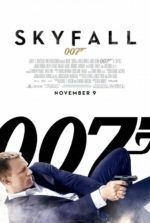 Chock full of testosterone, the result doesn’t attempt to reinterpret the prototypical old school action movie formula, just re-embrace it. But because of the dated, often now-unwatchable quality of those movies, for The Expendables to work Stallone needed to approach the material from a perspective that acknowledges his own action movie zenith but reinvents it for a new generation. His approach could have been ironic, or re-inventive rather than blindly replicating. But the format needed to change. Instead, what Stallone has done is make an ‘80s actioner twenty-five years too late. Filled with excruciatingly unfunny comic banter and extended scenes of mind-numbing action, Stallone’s display of devotion to those long-gone types of action movies proves a little sad given the pathetic result. This is unfortunate, because he’s come a long way as a filmmaker in recent years. In 2006 he made Rocky Balboa, arguably the best film in that franchise since the original Rocky, certainly the most dramatic, and with it confirmed that he could still portray that inspiring character. In 2008 he made Rambo and attempted to deepen the inner woe of his title character, but misstepped when he doused the production with a slaughterhouse’s quantity of gore. So, with The Expendables, Stallone had a chance to make a film that improved on the traditional brand of ‘80s actioner, but he took the easy road and gave us nothing we haven’t seen before. Stallone stars as Barney Ross, the leader of a team of mercenaries called ‘The Expendables’ hired by a CIA suit (Bruce Willis) to take down the corrupt government of a fictional South American island country. Ross is joined by knife expert Lee Christmas (Jason Statham); the offensively-named Asian guy Ying Yang (Jet Li); the big Russian turncoat named Gunner (Dolph Lundgren); the heavy artillery expert Hale Ceasar (Terry Crews); and Randy Couture plays a character named Toll Road, whose sole mark on the movie is explaining his cauliflower ear. 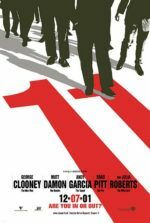 Together they head to the island country to stop General Garza (David Zayas), who’s merely a puppet for the cartoonish villain Munroe (Eric Roberts), 2010’s third over-the-top CIA agent-gone-bad (Patrick Wilson played the same role in The A-Team; Jason Patrick played it in The Losers). Munroe’s followed by a bald brute named Paine (Steve Austin), the usual muscle-bound bodyguard type. Of course, there’s a woman involved; General Garza’s rebellious daughter Sandra (Giselle Itié), who Ross makes it his mission to rescue, but strangely there’s not even the suggestion of sexual sparks between the characters, which would have provided the hero some much-needed humanizing. The point of the movie, if there is one, is that being a mercenary makes you dead inside. Ironically, so do this movie’s attempts at sending this message. Mickey Rourke steals the show as Tool, an ex-mercenary and owner of a mercenary bar. (There are mercenary bars?!) Rourke’s level of talent feels far too elevated for this script, as evident in the scene where Tool recalls the moment when he decided to give up ‘the life’. He teaches Ross that killing for money creates a cavity in one’s soul. This doesn’t seem to matter moments later, however, when Ross is mowing bodies down by the dozens, but it was a nice try. Perhaps if Stallone and Callaham had conceived some lingering doubt in Ross’ mind earlier in the script, suggesting he thought being a soldier of fortune wasn’t the best approach to life, then maybe his false emotional turn in the finale would have been believable. But, as we’ve learned from the aforementioned The A-Team and The Losers, a mercenary’s existence comes sprinkled with chummy repartee between pals, most of it comprised of bad jokes and macho riffs. Not to mention lots of dead bodies. What’s not to love? Despite the heavily populated cast, Stallone and Statham have the most screen time, and the movie plays almost like a buddy story between their characters. Statham’s Christmas shines in a subplot involving an ex-girlfriend that leaves him for an abusive jerk. When he discovers that she’s being beaten, Christmas roughs up the new boyfriend and his basketball pals in the movie’s best fight sequence. But the machine-gun action is mild for R-rated violence, especially compared to the horrific bloodshed of Rambo. When a movie boasts ‘the greatest action movie cast ever assembled’, it should be backed with memorable action scenes. Yet all the gunfire and fistfights become white noise after a while, and the audience sits with a vapid stare instead of alert involvement in the unfolding action. Worse, the cameo scene between Stallone, Willis, and Schwarzenegger may feature some of the most unfunny jabs in recent memory, while this trio of superstar actors appear genuinely uncomfortable together onscreen. The Expendables isn’t a terrible action movie, but it certainly isn’t a good one. Audiences expecting what hype has promised will be sorely disappointed by the humdrum reality of what Stallone has put together. Those wanting only gratuitous violence accompanied by dialogue limited to roughneck male bonding, you’re in luck. But to place any hope in the idea that Stallone has made ‘the best action movie ever’ with ‘the best action movie cast ever’ is ridiculous. If anything, Stallone has demonstrated that he’s better at selling a concept than making a movie, as jazzed moviegoers will no doubt make The Expendables profitable, making way for the inevitable action movie sequel.